You are here : Twenty Nine Inches » 29er » Will the last one to leave please turn out the lights? The last year on this site has been, to put it mildly, slack, and you might have noticed a true dearth of articles as of late. Well, all things on this third rock from the sun have an end and this is my official last post. So before I truly say good bye, let’s reminisce. 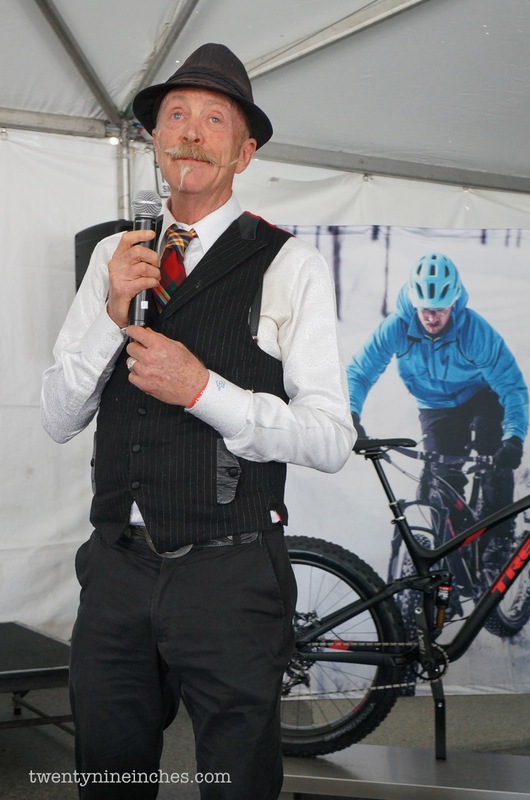 It was quite a long time ago now, so far back that I do not recall just when it was, while standing in the Salsa Cycles booth at Interbike and speaking to Gnat, I was introduced to Guitar Ted…mutton chops, knickers and messenger bag. Awesome. I had become a fan of his blog and had become somewhat romantically enamored with the thought of wide open Midwest gravel road riding. It was soooo unlike So Cal that it caught my imagination. So meeting him was a real treat. I was Blogging as well under Vintageone.blog.etc and so he knew me too, but only a little. At about the same time, two other things…nay three other things…were happening. The rise of the 29″ wheel was one of them. Still a toddler, it was gaining Mo’ like all big wheels do. Another thing was my experience on my first 29er, a Karate Monkey (natch). The third thing that happened was ownership of the site twentynineinches.com being dropped into Guitar Ted’s lap all of a sudden, where previously he had been just a contributing writer. 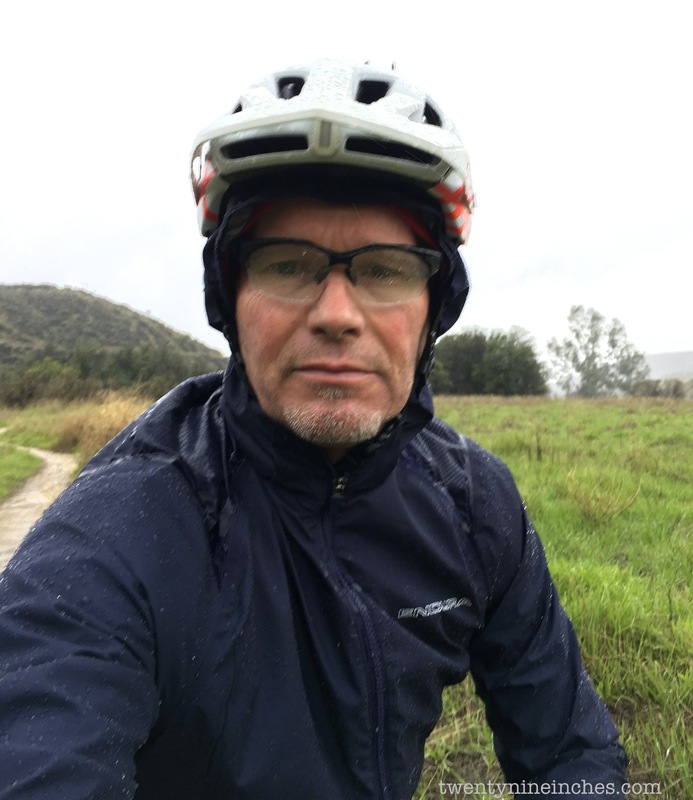 I was fresh out of being the Editor of a 4 wheel drive site (also Grannygear there) and was looking to perform the same type of role involving bikes, mountain biking being something I had been passionate about for more than 25 years. A bit of corresponding between us, some writing here and there and voila: A relationship was formed between Guitar Ted and Grannygear that lasted right up until a couple of years ago when he moved on into the gravel world full time at ridinggravel.com. Over those years we would only meet maybe once a year, either at Interbike (we both hated Vegas) or at Sea Otter. We reviewed hundreds of products, attended all kinds of media launches, and sat up many late nights writing articles so others could experience what we had examined and tested. We never had a written contract. Never had an argument. Never a cross word between us. At times it was exhausting. At times it was splendid and rewarding. At all times it was about bikes and riding them and making them better and better. It was never about the money, in fact there really was no money in it, not like you might think. Those details are not important, but I never had one paycheck from TNI and I never cared one bit. Oh sure, there were some advertisers but that covered Guitar Ted’s expenses and efforts. And there were perks of course in swag, etc, but you can’t pay your mortgage with tires or eat a new brakeset. This twentynineinches thing was from the heart. We never took a bribe. We always told you like it was from our perspective…the average guy enthusiast, not the flinty racer or young DH fan…no, just a couple middle aged guys who had been around since way back when with noses for BS and a love for big wheeled bikes. And we never claimed to be anything else but just that. But things change. Guitar Ted and I would talk about what would happen when 29ers became “just another mountain bike”. Well, that happened. The fever pitch was cooling off. When 27.5 came around, the phones at TNI.com stopped ringing for that entire year as all the engineering budgets and marketing efforts of the big and medium companies were focused on the ‘tweener’ wheel size. Just try and get a 29er for review when all they want to sell is 27.5. We rode them you know, those middle wheel bikes. Big old “MEH!”. Our thoughts were that 27.5 was a semi-big flash in a what really is a fairly small pan (the bike industry) and the needle would swing back to 29ers…maybe not for bigger travel bikes, but certainly for XC and for trail riding; not for everyone, but for a lot of people, and that there would be unsold 27.5 hardtail XC bikes sitting in warehouses at some point when enough folks figured all this out. Oh yeah…along with lots of Fat Bikes. And we were getting a bit tired of it all, this reviewing biz. At some point you just get to where you want to ride a bike. Not think about how it is to ride it or analysis as you go or what can I say about yet another open source mold Chinese 29er hardtail? And when it is no longer fun and it is not about the money, then the reasons to continue are hard to come up with. Big JeffJ and Stache VS. Stache: Plus is here to stay. As well, I had been doing a lot more road riding. I now ride road as much as 50% of the time and when you add in the gravel bike, that number goes up. 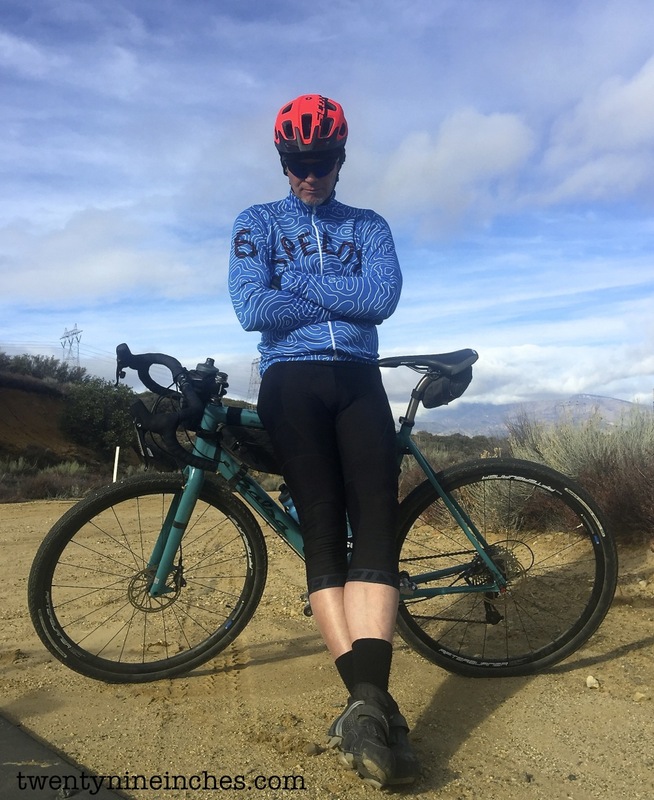 SO here I am writing for a 29er only site and riding a LOT of road, gravel (neither of which fit on the site) and rolling fat in the dirt on Plus tires. Not even 29+ tires for cryin’ out loud! The last couple of years have seen some seasons in our lives as well, Mrs. Grannygear and I. Both of her parents passed away after long illnesses and that takes a lot of mental and emotional energy. Last year the Missus took a hard crash off the road bike and in the process, we discovered she had a heart arrhythmia. All is well, but as we age we adjust to keep moving ahead. And I am aging as well. I am slower and more cautious these days and much less likely to push the limits of a product just to see how it works, something a reviewer is called upon to do. And while I could limp along and keep writing for TNI.com (I do not own the site…that honor belongs to c_g), the bike industry is really hurting…things are lean and unless you are among the top level websites, it is hard to get invites to press launches or product to review. It would require a huge effort on my part for keep the wheels turning and the lights burning bright, something I have neither the time or the energy to do. It’s either 100% or not at all, as far as I can see. 29ers are hardly dead though. Quite the contrary. And just look at the long travel 29er now for even pro-level DH! WOW! I would bet that would have never happened and likely I wrote that somewhere (but I never saw Boost and 1x dominance either…something that made Plus and bigger 29ers package well). I have been truly blessed by this experience. I know it was not an accident that I met GT at IBike that day. The years working with him were fun and I was always struck by his perspective on the Bike Industry, his integrity about this whole reviewing deal, and his humility as a human being. It was also a pleasure to work with c_g for a while as he stepped into ownership of the English/North American site when GT left. He still runs the German version. Both are fabulous men to know and God honoring individuals. I got to ride in some great places and on some great (and some not so great) bikes. I had a look into a very small, rarified world…the world of the cycling media…and it was swell. Truth be told…I always thought that as soon as they figure us out they will be bringing in ‘the hook’ to exit us stage left….that feeling of “I really don’t belong here with all these other SERIOUS journalists”. But what I found was, by and large, they are just normal folks too that put their baggies on one leg at a time. The best part of my time here were the people. I met some really great folks in this biz; passionate, smart, talented people that really love bikes and want them to be as good as they can be. A few of those relationships have transcended the business side of all this and I now count them as true friends. How fortunate. I got to share a coffee with Gary Fisher in an airport in France. He told me about the old days when he dropped into Crested Butte in a helicopter to ride the Pearl Pass route and how he is still a bike and a bike-people loving guy after all these years. Thanks for the big wheels, hippie man. 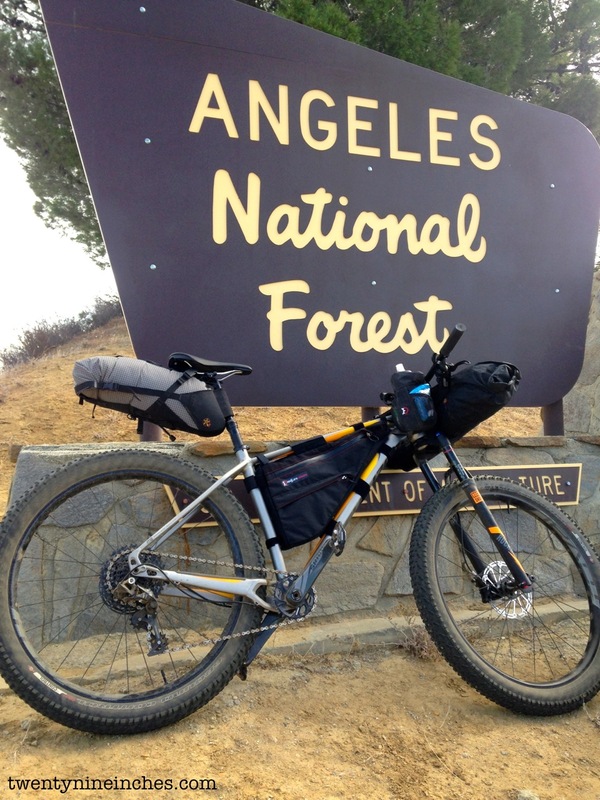 Joe Breeze and I talked about what makes a steel bike great. I could have sat for hours and talked to Bill Shook of American Classic about rim and wheel design. 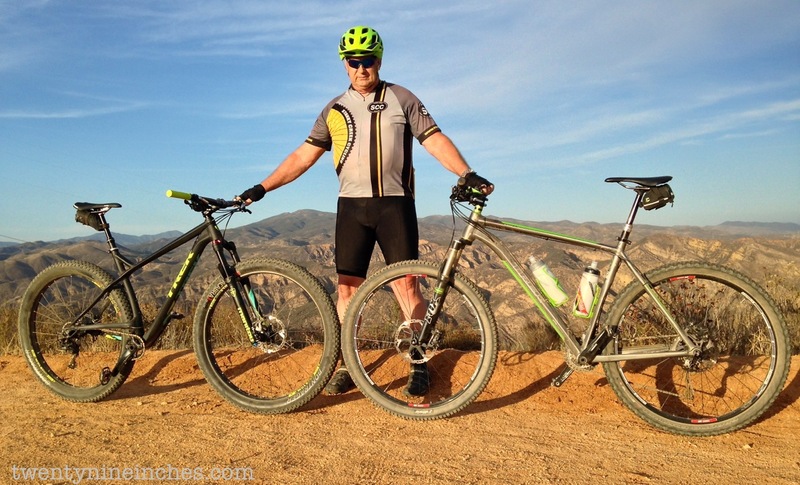 Why Tom Ritchey does things his way. I rode with Deadly Nedly. Got quality hugs from Ruthie Matthes (please recycle…she likes that). Rode in a chairlift and on trail with Rebecca Rusch. It’s been swell and I loved being a part of it. God is great and His blessings are abundant. So what now, Grannygear? Well, I have some ideas. I am not done thinking about cycling and I still love it to death. I have a website that I might just bring to the light. Not a review site really, just a fancy blog I guess, but it will be from the heart and mind of a cyclist these 30 odd years who still has something to say. contactpatch.net. Keep an eye on that space this year as I consider the possibilities. Keep riding. Bikes are an amazing conveyance and are soul filled in a way that still surprises me after all these years. Keep pedaling till the sands run out and don’t look back. Nothing is better than a bike for keeping your eyes on the horizon. Thanks for putting so much work into this. I have really enjoyed your articles and reviews! Yes GOD is GREAT!!! HIS blessings on YOU as you move forward. I’ve never commented before, but have been an avid reader for many many years. Thanks for everything you did, very much appreciated. It was a good run, and I know the amount of work you put into it was truly a labor your love for 29″ wheels. I’m glad you have the grace and wisdom to know when it’s time to move on. Thanks for letting me hang around. You will be missed on TNI GG. I always enjoyed your articles and review videos. Looking forward to your new endeavour. As with the others, I’m a long time reader but rarely commentating. I’ve always enjoyed the reviews and the insights. I think I am of similar age with a similar MTB history so what you often say (and think) clicks with me but my history is on the other side of the world (the bottom side!). I’m still excited about MTB bikes and their future and look forward to reading more of your musings on the subjects. Thanks GG. Thanks for all the great writing over the years! I’ve thoroughly enjoyed this site and wish you the best of luck. Sad to see the end of an era. I have been reading TNI since I started mountain biking in 2013. It’s been great to see the evolution of 29er’s since then, culminating recently in rapid rise of 29″ downhill bikes. I do think that this website has done a better job capturing and discussing the big picture than many other websites I read, which are very focused on compartmentalized reviews. But, it’s clear that the critical mass of reviews and writer interest has subsided, and so all good things must come to an end. Best wishes on the next endeavour! Thanks for all that you’ve done, and closure. Been a dedicated reader since 2011. Thanks for all of your work! GG: thanks for your work over the years, your reviews carried a lot of weight with my bike and equipment purchases. I always appreciated your “everyman” vibe, and especially when compared to other writers/reviewers in your field. I think you carved out a nice niche and served your readers well. Good luck in your future endeavors and keep pedaling, bobbing, and weaving down the trail! Sorry to see you go, for many years I have come to your website to see what the latest reviews say about various bikes and products.. However, I too am aging although still like 29ers and the long travel ones at that. Can’t wait to see what your new blog is all about . Long time listener, first time caller. Have enjoyed and appreciated TNI since 2011 when I discovered 29ers. Thanks so much and all the best. Thanks, guys! You opened my eyes to 29ers and made me buy my first 29er too (based on GT’s review). Thanks, it’s been a blast since 2007! Like you said, there is a time for everything. Keep riding and smiling! Thanks for all the insightful 29er-centric contributions and detailed product reviews! I took every one seriously, and to this day – I still love the Wagon Wheel, as my steed of choice. You three are superb Journalists in every sense of the word. Keep the passion going! Thank you for all the time you dedicated to enlighten us “normal” bikers. Enjoy whatever you do and keep on riding! Thank you and Godspeed to all. Thank you. GG, you are an awesome writer, reviewer, insider, etc. I look forward to reading your stories in the near future. Thanks for sharing. I appreciated your efforts. Even though the 29er world started small, I was regularly pleased that the bikes in my stable and the parts on them were reviewed on this site and for the most part we agreed on how the performed. Hi5! Thoroughly enjoyed all the great insight and your objectivity. You’ve been trendsetters in bike industry. I’ve been visiting this site often and the articles have been a big influence in the 29er purchases I’ve made to date. I wish you the best in your future endeavors. Thanks GG, I have always enjoyed your site. I went from 26 bikes to 29er’s years ago and now have 27.5+, 29, 26×4.6 Fat and thinking about 29 x 2.6 FS bike. Funny thing about the bike industry(spent years working in it)is that the older bikes just keep working. See lots of old HT’s with rim brakes and the riders are having a great time. Same as many others, thanx so much for all the killer content over the years. I made many purchases based off the objective thorough reviews here. Definitely will miss this site and wish you all the best! Sorry to hear that you are going. Thank you for your work and the knowledge you share with us. Have a tail winds with your new beginning. Focus on bikes as 2 wheeled transport, freedom from mortal walking. This should also include skateboards, e-bikes, scooters. London has 1 million daily bicycle commuters, at least they did before BritExit! WOW. Even Washington DC has a greatly utilised bike share program. Riding in the swamp, yuck. Good luck in your future endeavores, hope you post a link here when you are blogged up. 6/7 years ago 29ers wree a real rarity in the UK. TNI was where I came (almost every day) to read about what was happening stateside and hear about the latest hot new products. I even travelled to the US to pick up my first 29er althouhg I told the wife it was a vacation! The relavence of TNI has reduced at 29ers became mainstream. I hardly ever commented but it was great to feel like part of a movement that was changing the off-road cycling community. Thanks for all the great reviews you have greatly enriched my cycling life. I wish you the very best for the future. one of my all time favorites 🙁 Onto the next chapter! Its been a pleasure. This site was a valuable and informative website for me. Great articles. Thanks for all your efforts!! So many great articles/reviews and perspectives that helped me refine my ride and make good choices. Thanks for the great reading!. Be well! Thanks for everything. I was never let down by following a recommendation you made here and I appreciate the substantial effort which went into your work. Now I must get back to hoarding 9sp and 10sp double/triple drivetrain parts for my museum of 29ers before they are all gone 🙂 Take care and all the best! I recently bought a set of Specialized Roval Fattie 29 shod with Grannie’s favorite tire setup — Purgatory in front, Ground Control in the rear. I am very happy with my new setup, and your articles on the Fattie 29 is responsible for my recent upgrade. It just goes to show that this site is still extremely useful as a resource long after the final announcement. This begs the question, “How long will this site continue?” Any answers would be appreciated. Cheers to you. I’ve enjoyed this site, your writing, and your incites. I’ve learned a lot from you. Thanks for adding some additional joy to my riding experience. 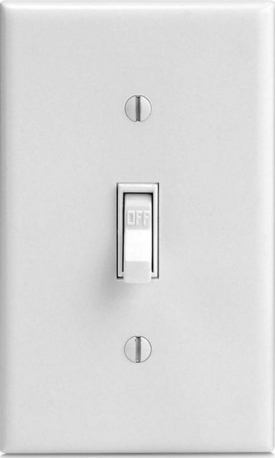 Enjoy this site. has been good for product reviews and comaprisons between regular and plus tire/wheel sizes. Not far away from you, Thousand Oaks. There are other 29er riders who could get in on keeping the site alive. I have my own experiences with Bobcat tire (I got a good enough review from 29online de site to buy them), plus and regular combo, fun trip report to Sedona…. Thanks, everything ever written on this site was a real help. I thoroughly enjoyed reading this blog over the years. Without a doubt whomever is in the know from the days of old, this is one of the best blogs to transition from 26in wheels. Am I wrong? I feel like this site also had the best raw content outside of a forum toward the xxix” breed of bicycle. Again thanks for the words, and thank you for the time. Enjoy wherever you go. Thanks again! with Love.